International Launch Services and rocket-builder Khrunichev presented designs of modified versions of their Proton launch vehicle on Tuesday, designed to reduce the cost for launching medium- and small-class commercial communications satellites into Geostationary Transfer Orbit. 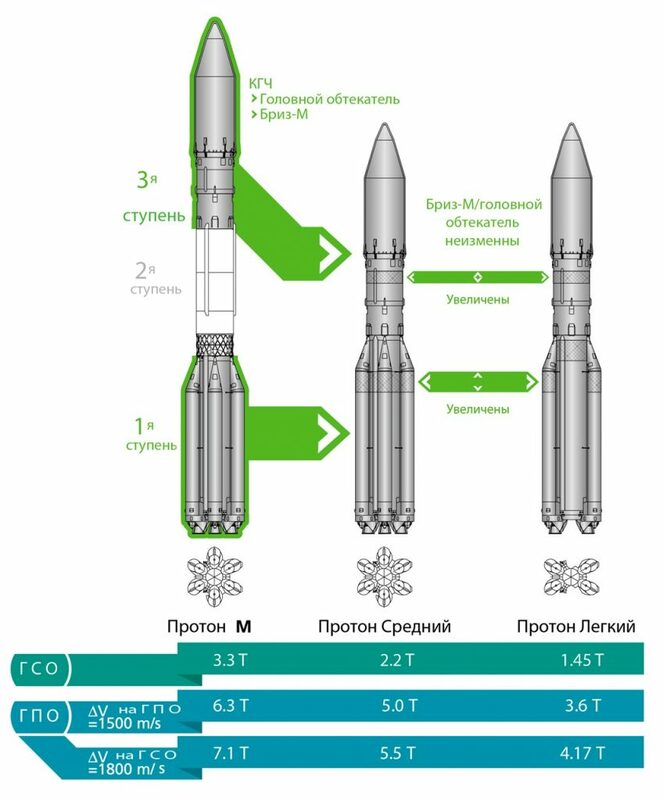 Known as ‘Proton Variants,’ the two launch vehicle modifications are based on downsizing the existing 3+1-stage Proton-M design to a 2+1-stage architecture. ILS said the Proton Medium will be available for flight in 2018 followed one year later by the Proton Light. ILS is extending its product line to expand the addressable GTO market for cost effective launch opportunities in the small and medium-class range. The Proton Medium variant will utilize the existing Proton-M first stage with slightly stretched tanks, keeping the six RD-275M main engines. 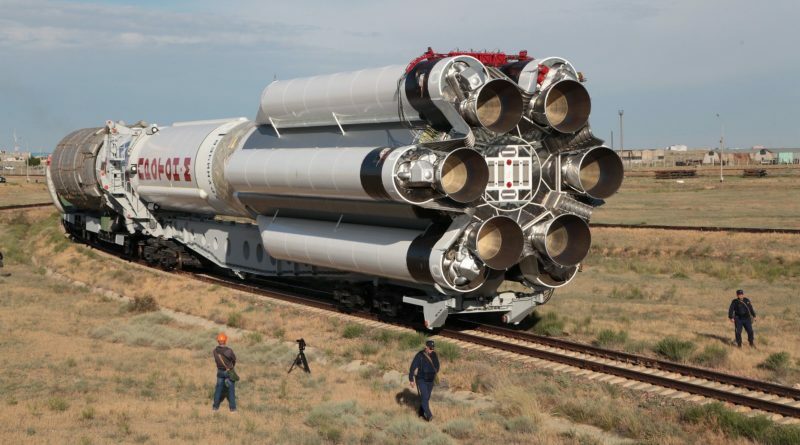 As second stage, Proton Medium will use a stretched Proton-M third stage with a single RD-0213 main engine. Proton Light will also use the stretched first stage, featuring only four main engines and four external fuel tanks plus a new Auxiliary Fuel Tank sitting atop the stage. The second stage for Proton Light is identical to the Medium variant. The Briz-M upper stage and Proton’s four-meter fairing design will remain unchanged across the new family of Proton vehicles. 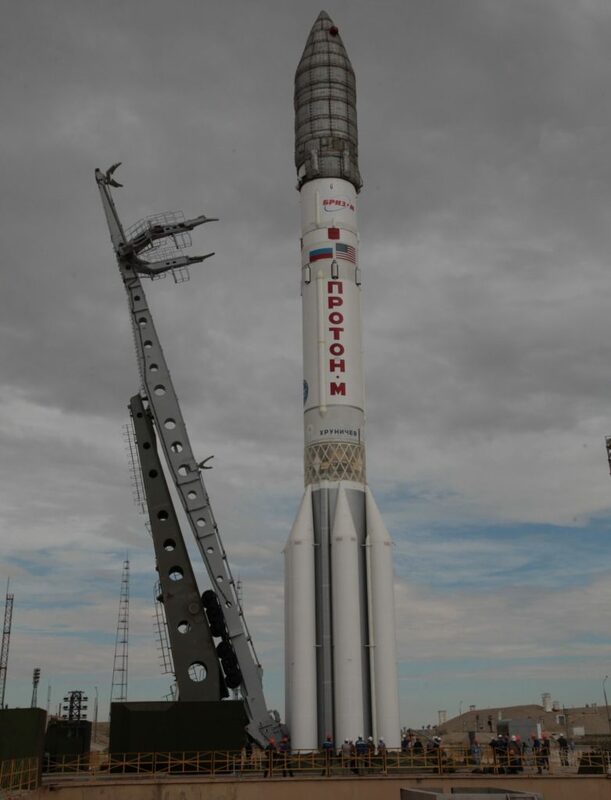 The full-sized Proton-M, at its current evolutionary stage, can lift 6,300 Kilograms into a standard Geostationary Transfer Orbit with 1,500m/s in delta-v (change in velocity) needed by the satellite to reach Geostationary Orbit. Proton Medium will be able to lift five metric tons into a similar GTO while Proton Light is capable of delivering 3,600 Kilograms. For a direct injection into Geosynchronous Orbit, Proton Medium is looking at a performance of 2,200 Kilograms and Proton Light can deliver 1,450kg directly to GSO, vs. 3,300kg by Proton-M. This places the Proton Medium and Light into a niche for efficient launches of satellites in the three- to five-metric ton range – a market dominantly occupied by the Ariane 5’s lower payload berth and the SpaceX Falcon 9 when flying in its recoverable configuration. Falling into this mass range are all-electric and hybrid satellites that use ion thrusters to slowly make their way into Geostationary Orbit, a design that has found a number of proponents across the commercial satellite industry in recent years. Proton Medium and Light will launch from launch complex 81/24 at the Baikonur Cosmodrome and will require some changes to the ground infrastructure including a new transporter-erector system due to the smaller size of the vehicles. 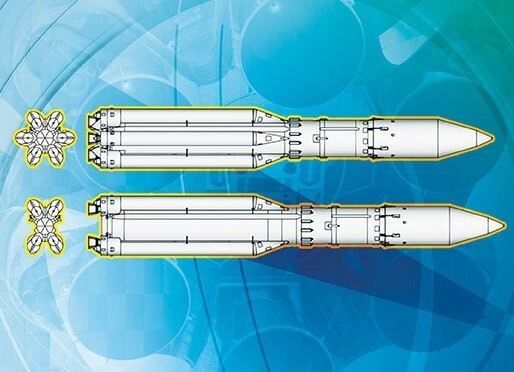 Proton-builder Khrunichev said the Proton Variants were being developed exclusively for operation by ILS as the Russian government currently has no plans for them and will continue using the established three-stage Proton design. In a press release, ILS President Kirk Pysher notes that the Proton Variants were developed working closely with ILS customers to find beneficial launch solutions. “(…) Our customers have made it clear that they want the benefits of the heritage Proton Breeze M launch vehicle design but need the flexibility and cost benefits to align the vehicle’s performance to current spacecraft requirements,” said Pysher. Leveraging existing manufacturing techniques and taking advantage of operational efficiencies, Khrunichev fully expects the cost savings to be transferred to the customer. Development of the Proton Variants has been underway quietly for more than a year based on a design that had floated around for some time before that. The first press reports surfaced in June of this year after comments from Roscosmos head Igor Komarov. ILS did not discuss the pricing of the new Proton variants, but earlier comments by Khrunichev representatives indicated the company was aiming for a ~25% reduction compared to the price for a full Proton-M. This would put the Proton Variants on-par with the SpaceX reusable Falcon 9 both in terms of performance and price. While pursuing the development of the Proton Variants, ILS continues to market its workhorse, the three-stage Proton-M rocket. ILS noted Proton launch slots for 2017 are still available and the typical 18-month lead time from contract to launch could be reduced for payloads that have flown on Proton before – providing an option to operators in line for a launch on the SpaceX Falcon 9 that is currently in its second long-duration stand-down in under two years. Proton itself is also in the midst of a pause in launch operations due to a close call on its most recent mission with the Intelsat 31 satellite in June. On that flight, one of the four second stage engines shut down prematurely, causing the three-stage Proton to underperform and counting on Briz-M to make up for the error. Briz-M was able to deliver the satellite to the intended orbit, but the cause of the engine problem is still under investigation. 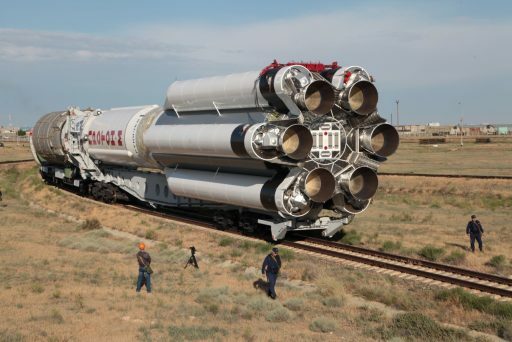 Per the current plan, Proton-M will return to the launch pad around October/November to deliver a Russian government satellite to orbit followed by an ILS mission with the EchoStar-21 satellite around November 23.